Our most recommended line currently on the market. Universal (for beginners and advanced as well), very easy to use and not expensive. 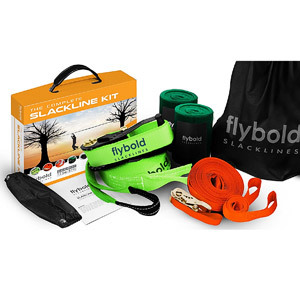 Quality product with an additional teaching line, for a good price – great line for learning. Very easy to set up, not too expensive and with an additional teaching line. Perfect for tricks and jumps thanks to the thinner and more flexible webbing. 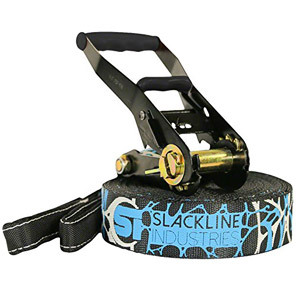 If you’re more interesting in walking longer lines than jumping, bouncing or doing other tricks, we would recommend you to start with one of the longest (85 or 100 feet) ratchet slackline kit. 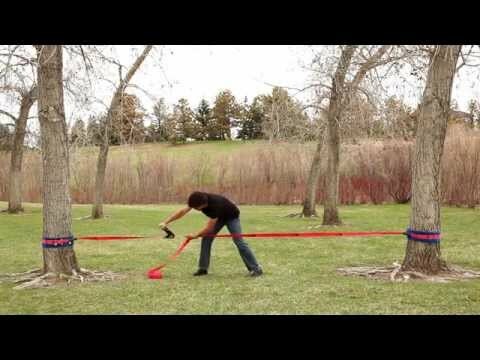 You’ll learn the first moves on a shorter setup, then progress to the full distance of the line and finally continue to a real 150 or 300 feet longline. 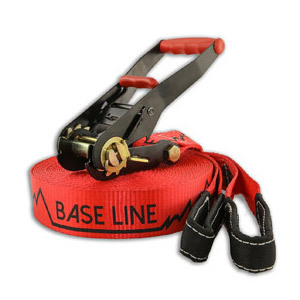 Baseline is the most universal line, great for beginners and not overly expensive. 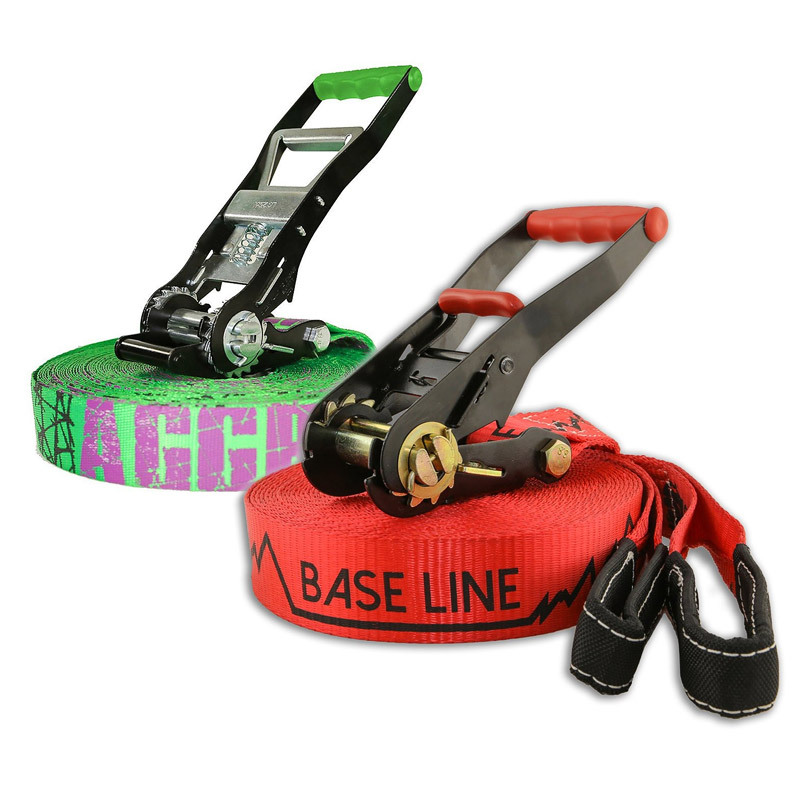 On the other hand, the Aggro Line offers 15 feet more webbing to walk on – but the price is noticeably higher.